32, Uzbekistan Str., Samarkand, Uzbekistan. The hotel has 15 rooms: single and double. The hotel complex is located near the center, not far from the railway station and bus station. 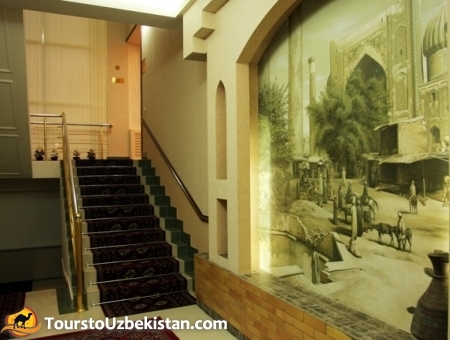 The hotel is situated in walking distance to Central Park of culture and rest named after Alisher Navoi. 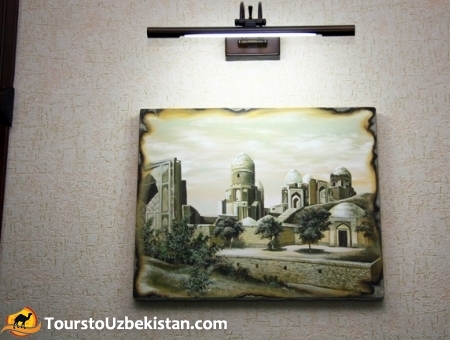 For some minutes you can get into the old part of the city where you will have an excellent opportunity to see the main sights and ancient monuments of Samarkand. 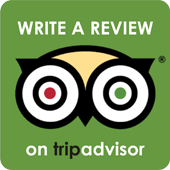 The rooms are equipped with everything necessary for a great holiday. In the hotel «Shaxzoda Lux» there is an Art Club with its own bar «Da Vinci» where you can taste delicious dishes of national, European and Italian cuisines.